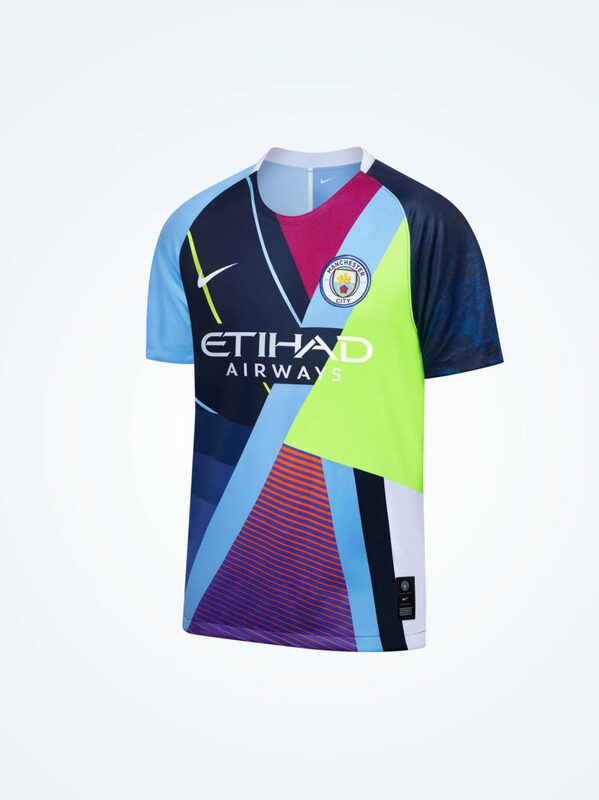 Manchester City have just unveiled a new Nike mash-up jersey to celebrate six seasons of the pair’s successful partnership. City will switch sponsors to PUMA next season, which ends a partnership with Nike that has seen them win six trophies while donning the Swoosh. 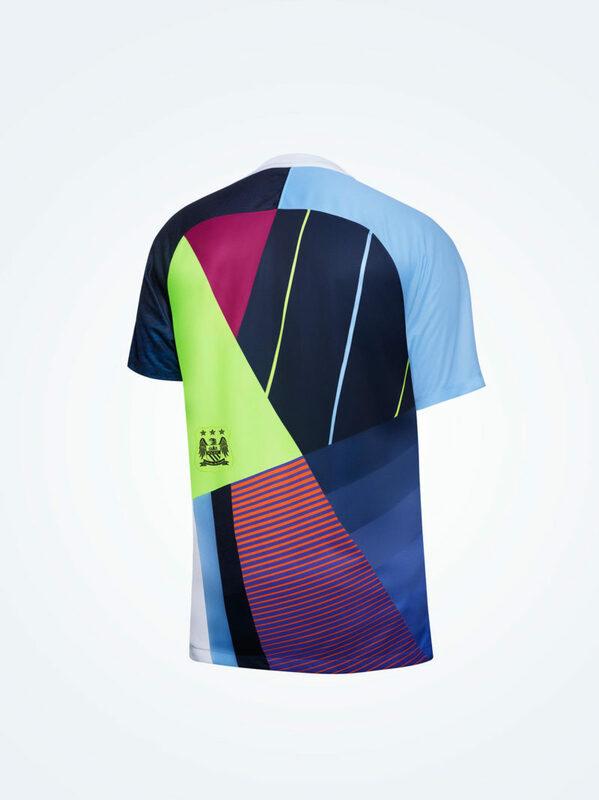 The mash-up shirt features City’s 2017-18 centurion season home shirt from last season and the third shirt from the 2013-14 domestic double-winning campaign. 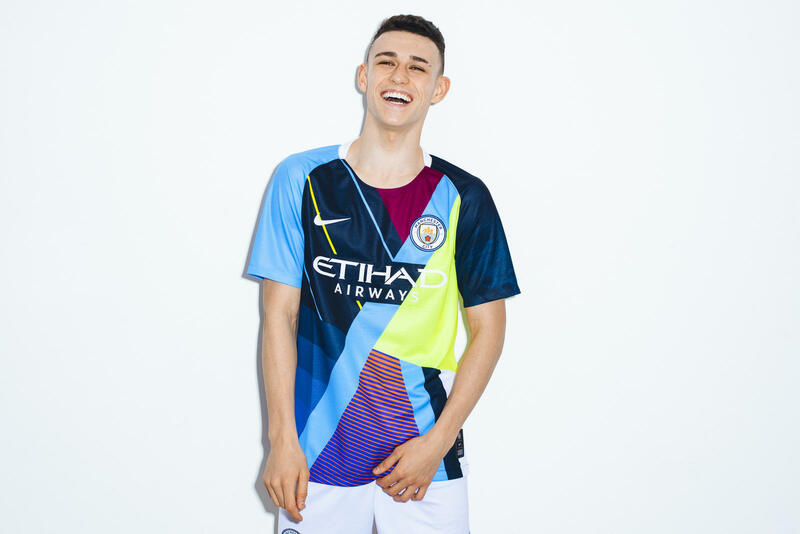 The individually numbered (1 to 6,000) Nike x Manchester City celebration jersey will be available April 10 on nike.com and at select retailers, while being debuted on pitch as a pre-match option this weekend in Premier League. In other product drop news, Nike Football are dropping a new ‘LVL UP’ Mercurial 360 Superfly model.